The primary concept addressed at Young Chefs this week was diffusion. To address this, the chefs prepared marinated tofu that they stir-fried with vegetables. Before beginning the cooking, the volunteers discussed the concept of diffusion and modeled it by dropping gelatin squares into food coloring solutions. The students predicted what would happen when the gelatin was removed from the solutions at different time intervals. For the most part, they were able to predict that the food coloring would penetrate deeper into the gelatin as the amount of time in solution increased. Furthermore, they were able to apply this concept to the tofu soaked in marinade. Periodically throughout the lesson, volunteers removed chunks of gelatin from the solution and the students were able to observe how their predictions play out. 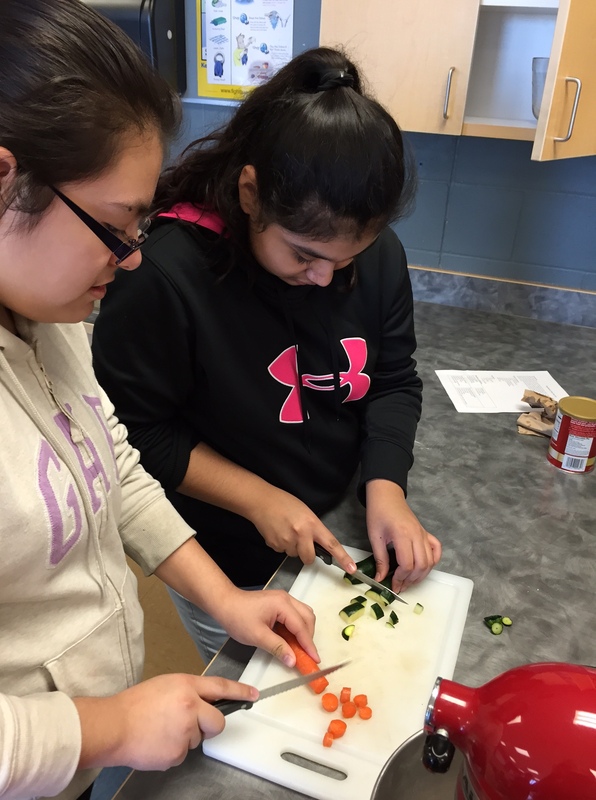 The culinary aspect of this lesson was equally successful as the initial science lesson. The students were split into three groups, each of which made a unique marinade. These marinades were orange ginger, barbeque and sweet and sticky. 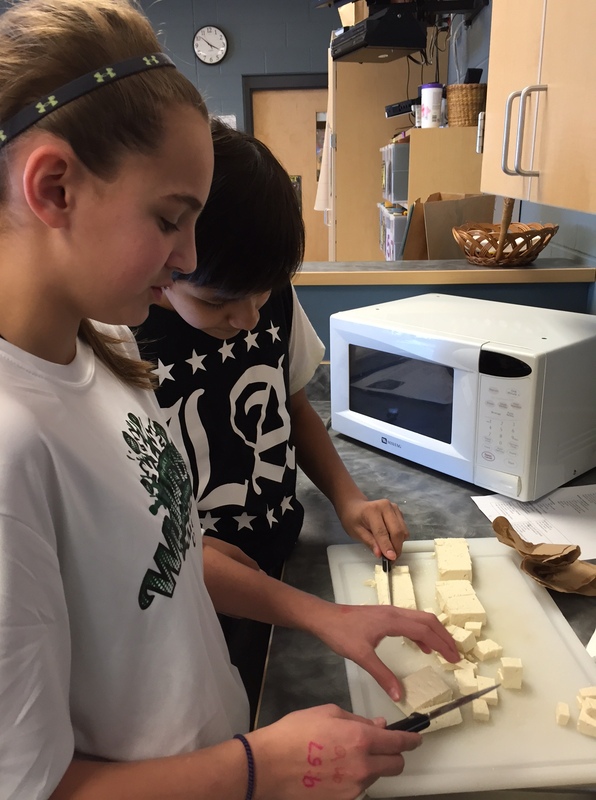 As the chefs cut up the tofu to soak in the marinade, conversation continued about how the diffusion applied to the tofu and how this made tofu a sponge of sorts for flavors. Also, we highlighted the nutritional benefits of tofu. 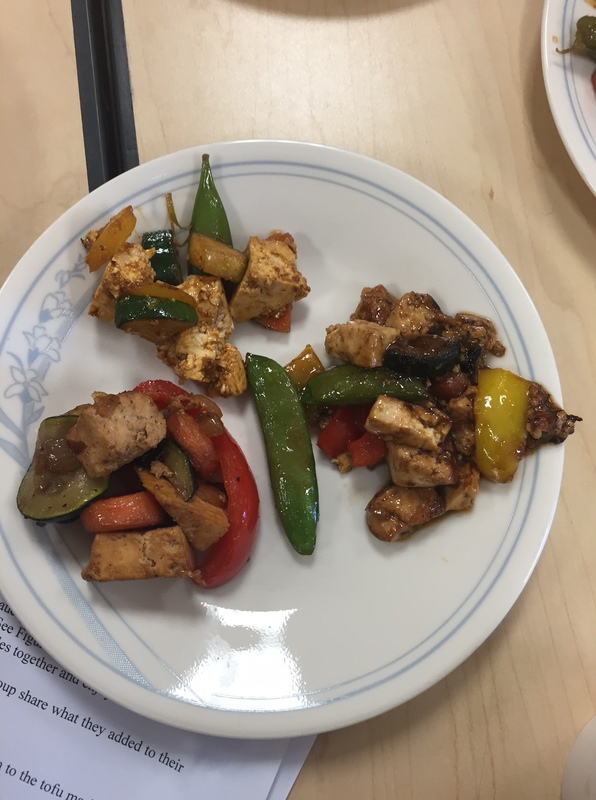 When the middle schoolers tasted the tofu alone, they were apprehensive about it, to say the least but we promised them that they would like it better once it was in stir fry. 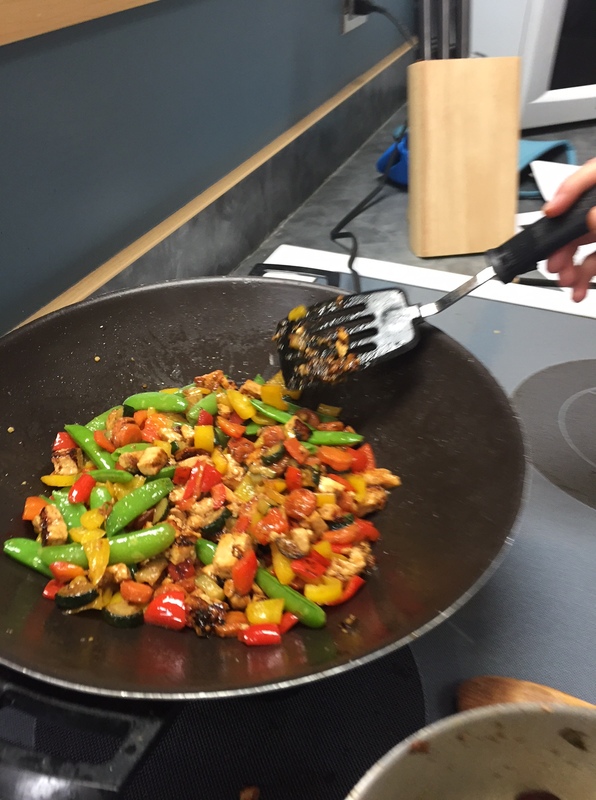 As the tofu marinated, they prepared vegetables to add to the stir-fry. As the beautifully colored dish was being cooked, they harkened back to the relation between food color and nutritional value that we discussed in an earlier lesson. 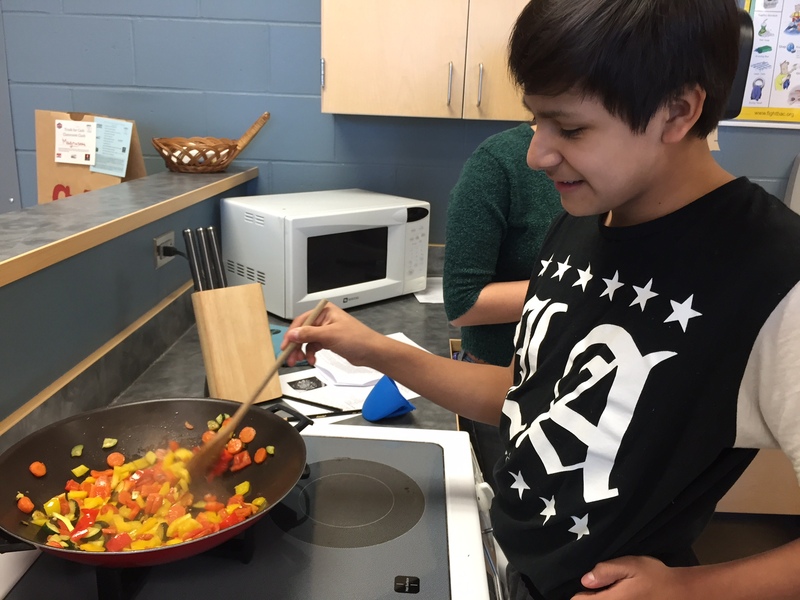 Almost all of the students had not tasted tofu before, but they were all eager to taste the stir-fry. Opinions over the stir-fry varied from “I’m not going to take one more bite” to “This is delicious! I’m going to cook it for my family!” but, overall, their plates were clean and their feedback was positive!